Denver, CO – Ski and snowboard resorts across Colorado are investing in improved facilities to enhance the guest experience both on and off the mountain. For the 2016-17 season, guests will find new dining options, new chairlifts and new terrain enhancements, as well as other improvements across the state. A-Basin has recently updated all of its webcams, installing new ones last season in the base area and facing the Pali terrain and invested in a partnership with Prism for the Divide Cam, situated at the summit. Aspen Snowmass has undergone significant renovations in anticipation of the 2016-17 season including an extensive remodel at Gwyn’s High Alpine Restaurant that will expand the building’s capacity from 350 to 800, and add a bar complete with a large wood-burning fire and big-screen televisions. Additionally the cafeteria will have a “market” setup that will improve diners’ access to food. 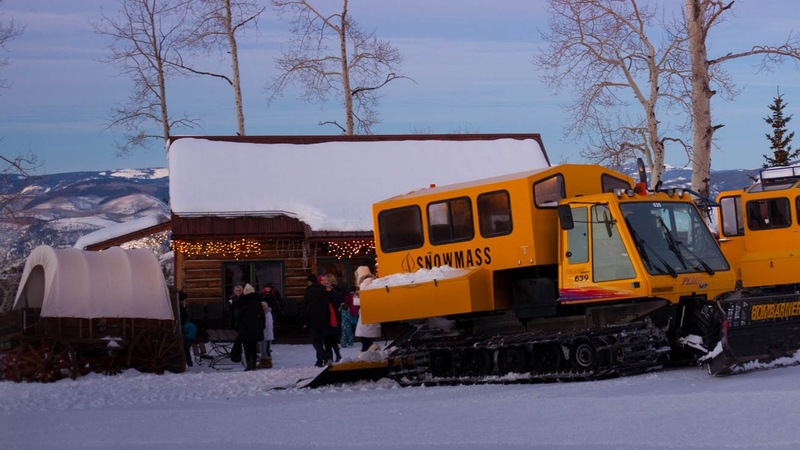 Lynn Britt Cabin debuted in the spring of 2016 and introduced LBC Après, a lively après-ski party at the quaint cabin featuring $6 Woody Creek Distillers Gin & Juice Cocktails alongside après food specials starting at $5. Aspen will host the 2017 Audi FIS Ski World Cup Finals March 15-17, 2017, marking the first time the event has been held in the U.S. in 20 years. The races will feature the best men’s and women’s alpine skiing athletes in the world competing in downhill, super G, giant slalom, slalom and a nation’s team event. For more information, visit www.aspensnowmass.com. Beginning this December, United Airlines will fly non-stop between its hub at Washington/Dulles (IAD) and Eagle County Regional Airport (EGE) on a weekly basis beginning Saturday, Dec. 24 and ending April 1, 2017. United will operate the route with Boeing 737-700 aircraft. Flights will depart from IAD at approximately 12:30 p.m. and arrive at EGE at 2:50 p.m. The return flight to IAD will depart EGE at approximately 3:50 p.m. with an arrival at 9:20 p.m. The EGE Air Alliance was able to secure this flight due to community support from more than 65 businesses, representing an historic level of support. Breckenridge Ski Resort will add a brand new, 490-seat restaurant just steps from the Independence SuperChair on Peak 7. The new restaurant will offer a variety of house made options like salads to order and a Mediterranean station, all coupled with dramatic views of beautiful Summit County. The restaurant is set to open in December and will highlight the mining history of Breckenridge’s past, as well as cater to skiers who like to play and stay on the terrain of the resort’s north side, including Peak 6. Many of the millions of visitors who have skied Breckenridge since the 1970s have entered the resort through the Village base area on Peak 9. Perfectly situated near the south end of Main Street, adjacent to the Village Hotel and the QuickSilver SuperChair, the plaza area will see a new snowmelt system and brick pavers replacing the dated cement surface, making for a more inviting and smoother transition to the snow. The new space will also accommodate special events throughout the year. This season Ski Cooper will unveil a new mountaintop yurt lodge, a comfortable place to kick back for a break, complete with food and beverage and a large deck with stunning panoramic mountain views. Other ski area improvements include a new PistenBully 400 slope groomer to continue to provide the softest and smoothest snow around. There are also new administrative offices at the mountain and a new point-of-sale system in food and beverage and the retail shop. On the Rockies is Copper’s new bar and entertainment hotspot in the resort’s Center Village. Just steps from the American Eagle chairlift, On the Rockies specializes in craft whiskeys from Colorado and beyond as well as craft beer. It also features a full menu of sandwiches, salads and other American fare. A second new eatery, Eagle BBQ, will offer a variety of barbeque options in a Colorado-themed atmosphere in Center Village’s Copper Junction building. The restaurant’s patio is as close to the snow as possible, making it a perfect après location. It is expected to open in November 2016. Copper’s Green Team recently secured a grant from the State of Colorado to install four Level 2 electric car charging spaces, allowing vehicles to charge in 4-8 hours. Located at the entrance of the Beeler parking lot in Copper’s Center Village, the Chargepoint interface allows users to schedule appointment times through a smartphone app, free of charge. For 2016-17, Copper will offer a new option for those looking for luxury accommodations during their visit. White River Luxury Rentals will allow guests to book units through the White River Luxury Rentals website and the resort’s website. For 2016-17 Crested Butte Mountain Resort will feature a new coffee shop, Coal Breaker Coffee, named after the Ruby-Anthracite. Coal Breaker is located in the Treasury Center in the base area and offers made-to-order crepes, breakfast sandwiches, espresso and hand scooped ice cream. Another feature for 2016-17 is a new, quarter million dollar, state-of-the-art Montana Crystal Glide Finish automated tuning machine to bring speedy and accurate tuning of skis and snowboards to the Gunnison Valley. A new program at the resort will also debut this season. Women’s Tips on Tuesday’s is a half-day women’s specific ski school led by Crested Butte’s top female pros that concludes with a glass of wine. www.skicb.com. For 2016-17 Eldora has added new runs on Indian Peaks as well as upgraded key facilities in both Timbers Lodge and Indian Peaks Lodge. 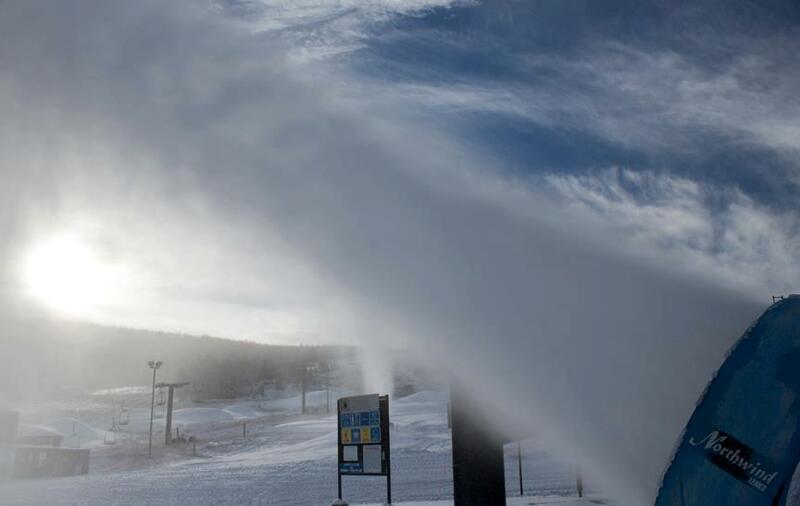 Other improvements include upgrades to snowmaking equipment and guest Wi-Fi internet. This year Keystone’s Kids Ski Free program turns 5 (which just so happens to be the same age that kids can officially become a part of this program). With more than 100,000 free kids’ lift tickets provided to families since the inception of the program in 2012, there is a whole lot to celebrate. This year guests can look forward to free Kidtopia events and parties, including a special weekly birthday bash with Ripperoo, plus of course free skiing as every day, all season long kids 12 and younger ski for free at Keystone with no blackout dates when parents book two or more nights in one of Keystone’s numerous accommodation options. This winter Keystone presents the inaugural Kidtopia Mountaintop Spectacular, a weekend of festive on-mountain fun for the entire family December 16-18. This free event will showcase a variety of activities and Kidtopia programs including nightly firework displays, a torchlight ski parade led by Keystone’s Ski & Ride School, and a mountaintop celebration where guests can enjoy free snow tubing, snowcat photo opportunities, live music, hot cocoa and fireside stories with Santa. Kidtopia will animate the mountaintop with Bigfoot adventure walks and a ski patrol-dog meet and greet, plus a special lighting ceremony of the world’s largest Snow Fort. Kidtopia Experience returns for an extended week-long celebration March 5-11. Start your family spring break early and be a part of all the kid-centric festivities and live outdoor music. Keystone Resort’s executive pastry chef Ned Archibald welcomes guests for a unique behind-the-scenes glimpse into his world of decadent desserts and chocolate making at the resort. Take a break from the slopes one morning to experience these tours designed for kids (and parents), and meet the man himself, tour his chef’s workshop and make delicious treats of your own to take home. No golden ticket required; these Chocolate Tours are free to attend. Offered on select dates throughout the season TBD. For 2016-17 Monarch is adding three designated uphill travel routes that will allow guests to trek from the base area to the top of the Continental Divide. Guests must register at the information desk to receive the complimentary uphill travel ticket. Also new this season, Monarch will have a single all-mountain point-of-sale system, Siriusware, that allows guests to log in online and reload their ticket products, skipping the ticket windows and increasing convenience. New this season guests, will notice that Purgatory’s Columbine beginner area has been expanded and re-graded to improve the area where beginners learn to ski and snowboard. Also, the Snow Coaster Tubing Hill has been relocated, redesigned, and enhanced for a better user experience. A hazard tree mitigation project will vastly improve the health of the forest and enhance tree skiing at the resort. This fall, Purgatory is opening a new convenient retail, rental and repair services shop in Durango at 2615 Main Ave. 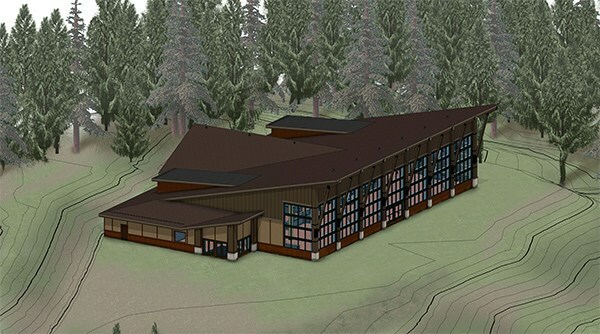 The remodel will provide a new storefront for outdoor recreation apparel, gear, rentals, repair services, ticket/pass purchases, as well as the resort’s reservation center. As Silverton celebrates its 15th anniversary season in 2016-17, the ski area will unveil a new custom ski basket for helicopter skiing which will allow the Silverton heli to fly higher and faster than ever before and allow guests to get in more runs during their stay. Also new this season, redesigned entrance steps to the tent will greet visitors. Other improvements include an all new demo fleet featuring state of the art Marker demo bindings. Silverton’s largest hotel, The Grand Imperial Hotel, recently completed a multi-million dollar renovation to return this historic building to its former luster with huge upgrades to all aspects of the facility. Ski Granby has added one new groomer and five new snow guns, which will increase snowmaking capability by more than 100 acres. Additionally, there will be new TVs and a new menu at the Grill. www.granbyranch.com. In preparation for the season, Sunlight has updated its fleet of rental equipment with the purchase of several hundred sets of new skis, snowboards, and boots plus new tuning equipment. Coupled with a fresh wax and high-precision tuning, visitors will be ready to shine during Sunlight’s 50th anniversary season. For 2016-17 Steamboat will replace its infamously slow Elkhead fixed-grip quad, built by Yan in 1984, with a Dopplemayr high-speed detachable quad, cutting ride times by more than half. Safety bars will also be added to the new lift. The increased speed and capacity of the new Elkhead lift is expected to substantially improve the guest experience in the popular Sunshine and Priest Creek areas of the mountain, especially at lunchtime and end-of-day egress. A new flight will offer travelers a chance to experience Steamboat’s legendary Champagne Powder with a direct flight from San Diego International Airport (SAN) to Steamboat/Hayden Airport (HDN). Alaska Airlines will fly routes twice a week from Dec. 17, 2016 to March 25, 2017. The resort partnered with Marmot on a new concept store located on the corner of 7th Street and Lincoln Ave in historic downtown Steamboat. The new 1,800-square-foot branded retail space will focus extensively on outerwear, apparel and accessories from the high-performance company. Improvements to snowmaking and grooming equipment include a new Leitwolf snowcat and an upgrade to the pumphouse to increase water capacity. 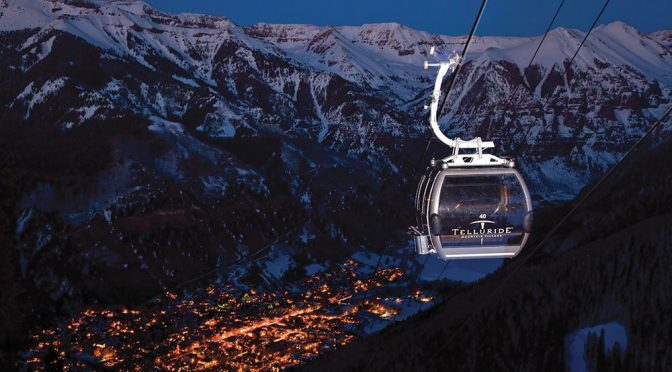 The beloved Telluride Mountain Village Gondola system that provides free public transportation between Telluride and Mountain Village will celebrate its 20th anniversary in December. A celebration with a series of events and a festive gala will take place during the anniversary month while a number of events will take place to celebrate the Gondola and its contribution to the region throughout the season. It’s the first and only free public transportation of its kind in the United States. Telluride’s newest restaurant, Altezza at the Peaks, offers incredible views. Altezza, which means “height” in Italian, offers an Italian-inspired menu, with a variety of main courses such as traditional pastas and Colorado-inspired dishes. 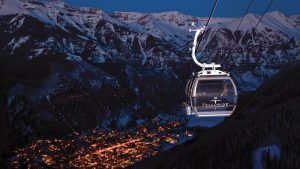 To broaden the overall resort experience, Telluride is adding a number of ongoing, free, family-friendly events to take place when the lifts stop turning for the day including a kids’ zone, a holiday prelude and movie series, other movie nights and live music in the mountain village. Telluride continues to invest in its infrastructure by enhancing the snowmaking capabilities in the Meadows area that caters to Ski School and beginner skiers and snowboarders. In addition to the new flight into the Vail Valley from Washington D.C. – Dulles (see the Beaver Creek section above), Vail is replacing its Sun Up (#17) lift in the Back Bowls with a new high-speed quad for winter 2016-17. With the new Sun Up Express, which will be designated lift #9 in its new incarnation, all major lifts at Vail Mountain will now be high-speed. The new Sun Up Express provides access to advanced terrain in Sun Up Bowl and disperses skiers and snowboarders to other terrain in Vail’s Back Bowls. The Winter Park Express ski train returns, restoring passenger rail service from Denver’s Union Station to the slopes of Winter Park with service beginning Saturday, January 7 and continuing every weekend and holiday Monday through Sunday, March 26. This service is the only one of its kind in the United States. 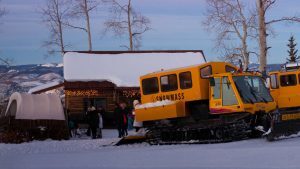 There are four new state-of-the-art snowcats that can be used year-round to trim trees and bushes in the summer that have a tendency to peek through the snow in the winter. At peak output the resort will be able to groom almost 1,000 acres, which is a lot of corduroy. www.winterparkresort.com. 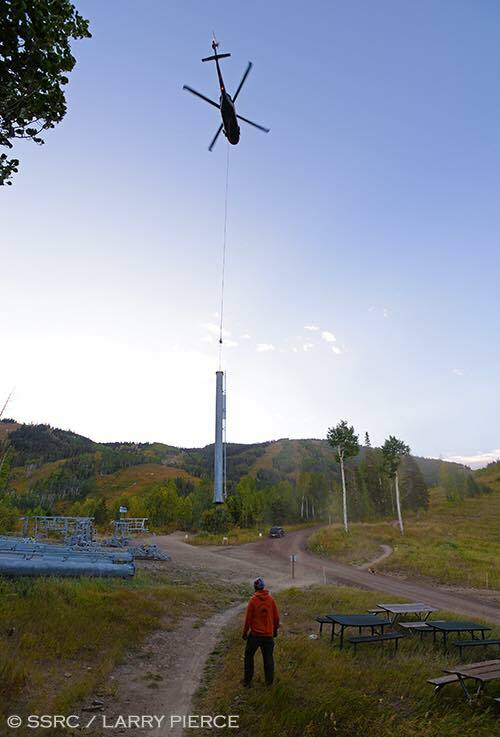 Wolf Creek Ski Area will debut a new lift for the 2016-17 ski season. 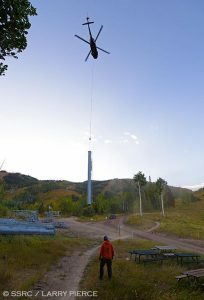 The Lynx Lift will link the existing base area to a new teaching area. 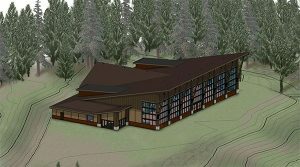 The top of the Lynx Lift terminal building will house a ski school greeting area facility designed for greater customer service for beginner skiers. A portion of the Tranquility Parking Lot has been paved and other damaged areas have been repaired with 2,600 tons of asphalt. The ski and snowboard rentals have increased their fleet for next season with new demos, sport and standard models from some of the best manufactures in the industry. Guests will also see cosmetic improvements to the base area buildings as well as the Bonanza Lift. 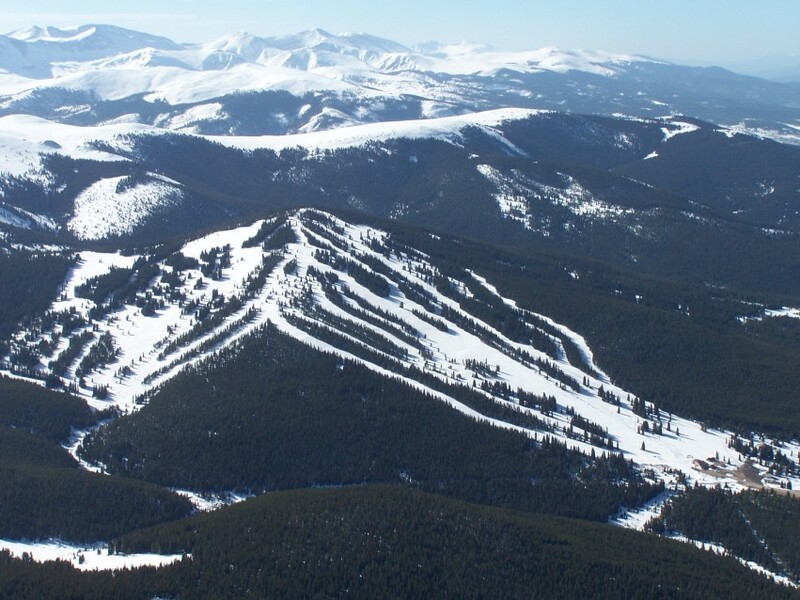 This season marks the 40th year Wolf Creek Ski Area has been owned and operated by the Pitcher family, which is committed to operating a sustainable ski area with a low-density skiing experience that remains affordable to the public. Other improvements include an upgrade in the food and beverage department from traditional cash registers to a point-of-sale system. Improvements to the online reservation system include allowing guests to book ski school lessons and access to the entire rental fleet. Radio telemetry for activating avalanche control exploders along the Knife Ridge out to Horseshoe Bowl were added this spring, while maintenance on the the D. Boyce Poma Lift will keep piece of Wolf Creek history operating.